The Marvel Fact Files Cosmic Special series expands the Marvel Fact Files figurine line with characters from the furthest reaches of the Marvel Universe. 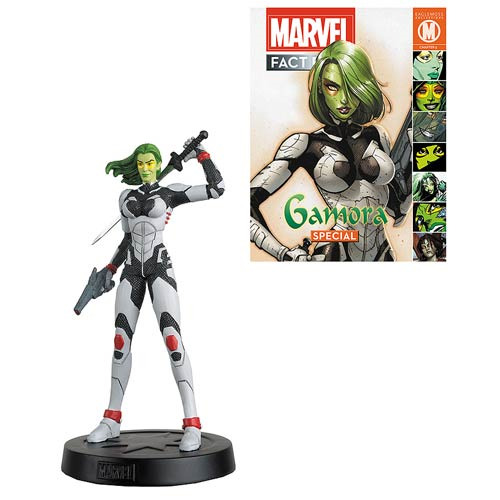 Issue 4 features Guardians of the Galaxy member, Gamora, who stands at approximately 4-inches tall and comes with a 20-page magazine. Ages 13 and up.